Similar to the ca. 1764 cellar partitions, a majority of the evidence for the partitions in the ca. 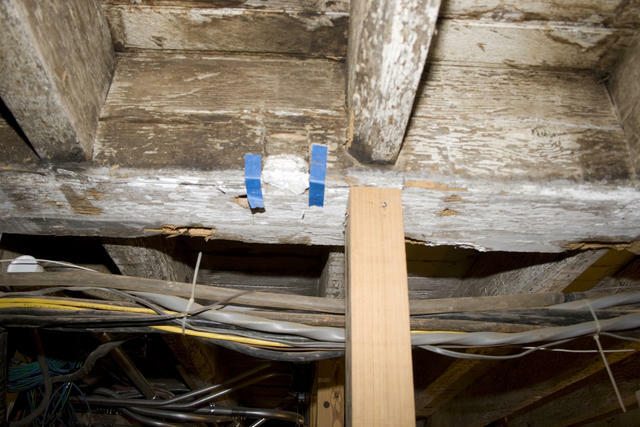 1797 cellar was found on the first floor joists. No evidence survived in the ground because it would have been found on the floor’s sleepers, which were removed in ca. 1901. A lap mortise on a girt in the cellar.